Commissioned and owned by the Hualapai Indian tribe, it was unveiled March 20, 2007, and opened to the general public on March 28, 2007. 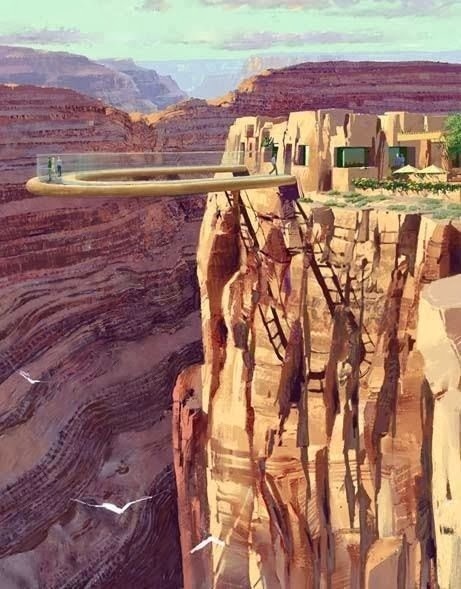 It is accessed via the Grand Canyon West Airport terminal or a 120-mile (190 km) drive from Las Vegas, which includes a 10-mile (16 km) stretch of dirt road which is currently under development. The Skywalk is east of Meadview and north of Peach Springs with Kingman being the closest city of some size.